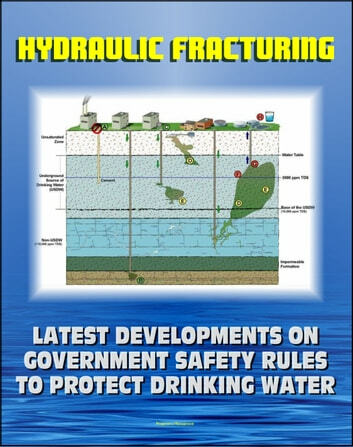 The latest developments on government safety rules to protect underground sources of drinking water from the impact of fracking for oil and natural gas are covered in this updated ebook, which provides extensive information about the important controversy over hydraulic fracturing for shale gas. It contains a large collection of up-to-date official documents and publications on the risks and rewards of shale gas. The newest material includes EPA coverage of the underground injection control (UIC) permitting guidance using diesel fuels. EPA's UIC Program provides a framework to ensure protection of USDWs from endangerment related to underground injection activities. Within the UIC Program regulatory framework, Class II wells are those that inject fluids associated with oil and natural gas production activities. In addition, there is a reproduction of the Shale Gas Subcommittee of the Secretary of Energy Advisory Board report of November 2011. 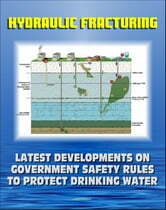 Additional coverage includes the first 90-day report of the SEAB striving to improve the safety and environmental performance of fracturing; EPA plans to study the potential impact of fracturing on drinking water resources; USGS material on Marcellus shale gas development and water resource issues; National Energy Technology Laboratory Comparative Study of the Mississippian Barnett Shale, Fort Worth Basin, and Devonian Marcellus Shale, Appalachian Basin, and more. Contents include material from the EPA, USGS, Department of Energy, the Energy Information Administration (EIA) and others. The DOE Advisory Board report states: The development of shale gas in the United States has been very rapid. Natural gas from all sources is one of America's major fuels, providing about 25 percent of total U.S. energy. Shale gas, in turn, was less than two percent of total U.S. natural gas production in 2001. Today, it is approaching 30 percent. But it was only around 2008 that the significance of shale gas began to be widely recognized. Since then, output has increased four-fold. It has brought new regions into the supply mix. Output from the Haynesville shale, mostly in Louisiana, for example, was negligible in 2008; today, the Haynesville shale alone produces eight percent of total U.S. natural gas output. According to the U.S. Energy Information Administration (EIA), the rapid expansion of shale gas production is expected to continue in the future. The EIA projects shale gas to be 46 percent of domestic production by 2035.